The title is so fitting for this review as I am reviewing the ‘Pink Parcel’ that I received in an amazing goodie bag from the #LPP event (Liverpool Period Project). This event was run by the lovely Alisha and Sam who are two amazing bloggers. This event was held in aid of supporting homeless women on their periods. All of our contributions of ‘women’s monthly essentials’ were given to the Whitechaple foundation, huge round of applause for The Whitechaple Centre as they do so so much for the homeless community! 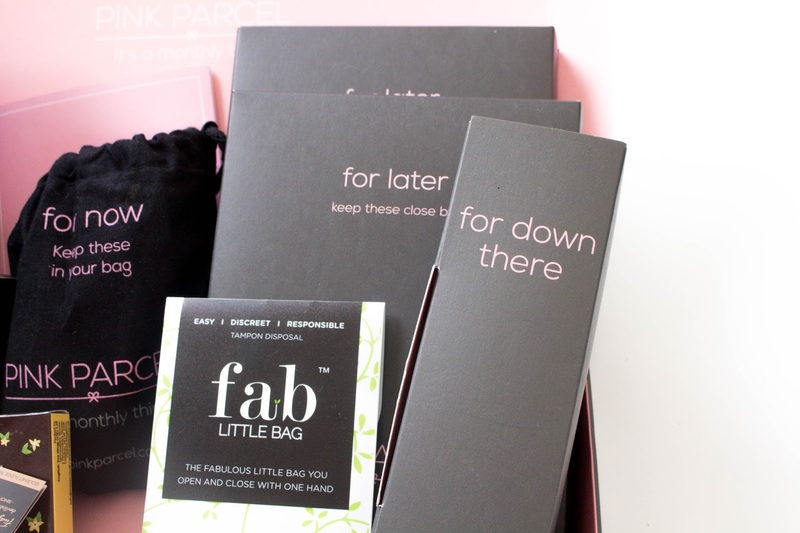 In my goody bag I received this amazing Pink Parcel box! I was very keen to open this up as I thought it was a beauty box as they are the only monthly subscription boxes I’ve seen around. To a wonderful surprise I realised it was a box personalised for women when they are menstruating. Instantly I thought this was an incredible idea as a gift for a younger family member who’s just joined ‘woman hood’ or even a gift for a friend who struggles with them. Not everyone has it plain sailing, some times we have to have a day to our selves to eat and cry, the pain can sometimes be too much we have to call in sick. Sometimes there is the extreme of migraines and throwing up. We just can’t help it but I thought if I had a friend who wasn’t feeling too good this would be a nice little ‘perk me up’. This monthly subscription (fitting) consists of only the essentials. ‘Something For Now’ you know the on the go carry in your handbag. ‘For Later’ when your curled up watching films and drinking tea. ‘For You’ the little pick me up you need to make you smile. The box is so well thought out that it accommodates everything for you, the tag names on the boxes also add a cute touch. It’s perfect as because you tell Pink Parcel ‘your dates’ and choose potential brands you’d like to receive in your £6.99 treat. In my Pink Parcel I received amazing samples of Simple Toner, sleep therapy balm, nail polish, a sweet treat and much more! 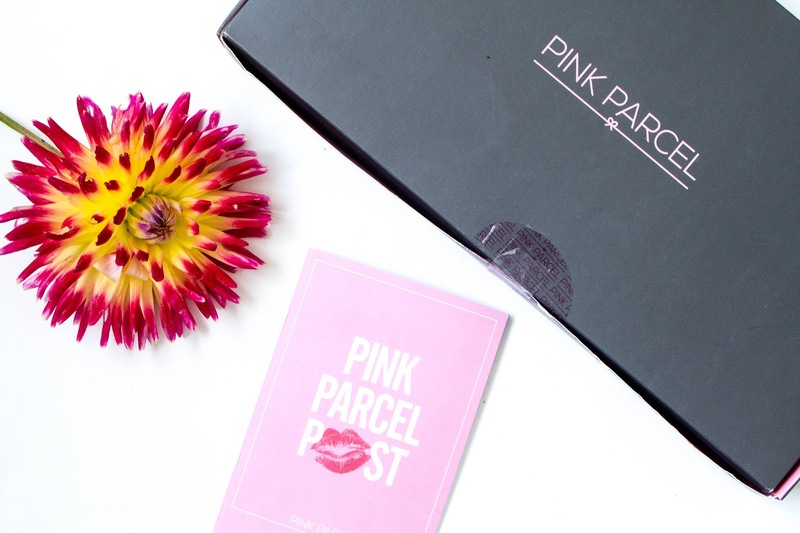 These boxes are a seriously great idea and a wonderful way to treat yourself every month!